CHHATTISGARH—Since the state was carved out of Madhya Pradesh in 2000, Chhattisgarh has descended on its poor women with a spate of public-health messages: Have fewer children, don’t deliver babies at home, and only trust health professionals, not your age-old beliefs, for decisions about well-being. From the remote villages in the rural grain bowl of the north to urbanised extensions of the capital city Raipur, women are listening. In 2014, more than 124,000 women received tubectomies, a sterilisation procedure that accounts for 92% of all family-planning methods, according to the National Health Mission. And the rate of deliveries at hospitals and clinics has almost tripled in the past decade, partly due to small monetary incentives. Then, in November 2014, 11 women died at a grimy sterilisation camp in Bilaspur, a central part of the state, sparking a fiery and short-lived uproar across the country. In December, fourteen mothers lost their newborn babies in a span of one week in a single hospital. And, over the years, dozens of young women have been wrongfully advised to have hysterectomies. As private hospitals crop up across the state and cash-strapped patients spend more on healthcare than ever before, there is mounting evidence that government’s insurance policies and medical advice to women are instead keeping money in the increasingly well-lined pockets of doctors and government officials—even despite the latest uproar. Leaning back at his mahogany desk in Raipur, Chhattisgarh’s health minister Amar Agrawal extolled the virtues of the state’s health insurance plan—the only universal coverage policy in the country. In a state where half the population lives below the poverty line—the highest proportion of poor in the country—Agrawal insists that this welfare net is a big deal. Through Mukhyamantri Swasthaya Bima Yojana (Chief Minister’s Health Insurance Programme) and Rashtriya Swasthya Bima Yojna (National Health Insurance Programme), about 3.8 million of Chhattisgarh’s 24.5 million people have an active insurance card. Dubbed “smart cards”, these plans promise each family Rs30,000 in health coverage per year. Chhattisgarh’s politicians, and the right-wing Bharatiya Janata Party government that has held power in the state for over two decades, have often held up the state as a poster child for welfare policies alongside Gujarat, according to Poonam Muttreja, executive director of the Population Foundation of India, an advocacy organisation that partners with the government to advise health and development policies. This is the state that launched the country’s first every community health worker programme, now with more than 60,000 workers, and a three-year medical training programme to produce more doctors at a faster pace. Chief minister Raman Singh also inaugurated a health information hotline in 2013 to give more people access to care via mobile phones. Take the example of Selphili Kumar, a 25-year-old mother. In a government hospital in Ambikapur, she shivered alone on a dirty cot, waiting for the doctor to treat her two-day-old son, who had been sick and weak since birth. There was intense pressure in her abdomen and sudden chills racking her body, but all she could think about was money. Her husband, a labourer with a monthly income of about Rs3,500, had paid Rs1,000 to get to the hospital from her village of Kailashpur, Rs600 to order her post-cesarian medicine from the pharmacy (that the hospital claimed they didn’t have on hand), and Rs1,500 for her baby’s treatment. Wrapping her purple sweater tightly around her, her breaths short and shallow, Kumar worried that staying in the hospital longer would only rack up the bill further—a bill that, legally, shouldn’t have existed. “They’re not even taking care of me here, just the baby,” she said. Her experience isn’t unusual for working-class women attempting to navigate healthcare in Chhattisgarh, according to Sulakshana Nandi, an activist and researcher with Jan Swasthya Abhiyan (People’s Health Movement), who has looked extensively at the patient’s experience with government insurance plans. Women are given incentives of around Rs700 to deliver their children in a hospital, and community health workers, called mitanins, are given incentives to bring them in. But crowded government hospitals often add extra charges to the bills, knowing that many of the parents are illiterate and unaware of their insurance policies. In a study published by the Sama Resource Group for Women and Health, a research and advocacy organisation based in Delhi, Nandi also found that 58% of surveyed patients with smart cards incurred out-of-pocket expenses in private hospitals and 17% in public institutions. In another study, she found that patients were expected to pay about Rs4,000 in excess charges on average—in some case, the entire monthly income of their family. And while government hospitals can’t escape culpability, it is the rising trend of largely unregulated private hospitals that worry her the most—especially since the proportion of these institutions registered to accept smart cards is as high as 91% in more urbanised districts like Raipur. It’s not always against the rules for hospitals to charge poor patients unaffordable sums of money for healthcare in Chhattisgarh. At private hospitals, the price tags on surgeries and procedures—pretty much anything that requires cutting—is steep. And it’s these exact procedures that doctors are turning to, even if it isn’t justified. On a sunny January afternoon most of the women in Manikchauri, a village 25km from Raipur, were out working in the fields. Water had just been distributed, and it was a good day to tend to the grain. But Malti Bhai Saav, a 38-year-old woman with soft features and a smiling face, was at home clearing up plates from lunch. Even four years after her hysterectomy, a procedure to remove her uterus, the mother of two hasn’t regained her strength to do physical labour, and said she often has pain throughout her body. Manikchauri, with dusty roads and concrete houses, is part of a cluster of communities in the Raipur district where almost every woman can point out a neighbour or a friend who underwent a hysterectomy. In a 2012 report, the Human Rights Law Network found a spike in the procedures across Chhattisgarh—though there the data is so spotty that it could be anywhere from 7,000 to 50,000 procedures in the span of a year. 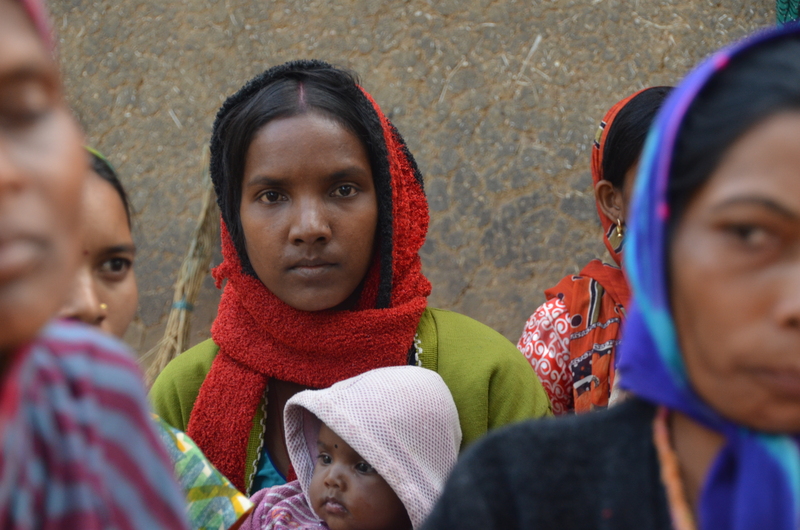 And a disproportionate amount of procedures were ordered for lower caste women from Dalit and tribal communities. Most of the women near Manikchauri who walked into the nearest hospitals and clinics, usually private, said they had gone in to check on a stomach ache or infection. Almost all, like Saav, were in their 20s and 30s—far below the recommended age for removing organs that affect women’s hormones and health. “Sometimes it’s easier for a woman to get a hysterectomy than procure antibiotics,” said Nandi, who has also researched and advocated on behalf of the women in Raipur. Hysterectomies are one example of procedures, along with cesarian sections and cataracts, that are relatively simple and lucrative for doctors to perform, especially when patients have smart cards. For each of these procedures, doctors can earn between Rs8,000 and Rs15,000 from the government insurance plan, and pad that income with out-of-pocket charges to the patient. There were 234,215 insurance claims for hysterectomies in 2012, according to the Human Rights Law Network report. The way packages are priced under the government’s RSBY scheme will only promote wrong use of the system, said Dr Yogesh Jain, a physician at Jan Swasthya Sahyog, a charitable hospital with an extensive rural health programme in the Bilaspur district of Chhattisgarh. “This just panders to the greed of greedy physicians,” he said. Saav and several other women, in neighbouring villages like Dongarai and Hadsa, admitted that they had shelled out at least Rs10,000 in cash at their respective hospitals. But even harder to accept was living with pain. Padmani Chelak, a spindly 40-year-old woman with five children, had gone to the hospital for pain in her lower back and within one day was told to get a hysterectomy, forcing the family to sell a plot of land to pay for the cost. Now, five years later, she still has pain in her back, with the added burden of chronic weakness and a sore abdomen. After the media and lawyers got ahold of the data from the Raipur hysterectomies, 34 private institutions were publicly accused and several forced to shut down or stop doing hysterectomy procedures. And while Agrawal claims the doctors have been properly reprimanded, both Rajni Soren, a head lawyer at the Human Rights Law Network, and Nandi countered that most continue to practice across the district. “[Doctors] are quite a powerful lobby,” Soren said. For the past few months, Soren has turned her attention to another case of malpractice and physician impunity: The now infamous sterilisation camp in Bilaspur district that left 11 women dead and dozens of others critically ill.
Ranjita Suryavanshi was one of the victims. Sitting in the courtyard of his newly built home in the dusty village of Neertu, her husband Santosh Suryavanshi stoically traced his wife’s last steps. In early November, he and Ranjita took an auto rickshaw to the sterilisation camp in Bilaspur, where women lay recovering from their procedures on a row of dirty mattresses. He said they went because they had had three children, and local community health workers had convinced them to keep their family small. Ranjita had received Rs600 as incentive from the government for agreeing to the sterilisation and the procedure seemed to go well. But when they came home that day, Suryavanshi said his wife became violently ill, vomiting every time she tried to sit up or eat. On the second day, he called an ambulance to take her to SIMS, a government hospital in the city of Bilaspur. In a matter of minutes, the doctors checked her eyes, gave him her jewellery, and pronounced her dead. In the days after the camp, reports revealed that rat poison was found in the medicine distributed to each woman after the procedure. But they also found that the doctor in charge, RK Gupta, had performed 83 surgeries in the camp in less than five hours with a single laproscope, a thin tube-like instrument, against medical protocol. The justice system doesn’t seem to be holding the doctor responsible. Gupta had originally been arrested but is currently out on bail and has yet to be charged. In fact, when advocates and the public called for action against Gupta, hundreds of doctors in Bilaspur went on strike—even walking out of their emergency rooms and refusing to practice. Agrawal insisted that government doctors rarely abuse their status and said the larger issue is one of manpower and infrastructure. There are far too few doctors Chhattisgarh—one doctor for every 2,500 people—and patients are either crowding their waiting rooms or opting for private hospitals. In this environment, they are expected to meet larger public health goals of lowering fertility rates and maternal and infant mortality—numbers that still blemish the state’s human rights record. Muttreja said that was hardly an excuse. Admittedly the government has a history of imposing family planning targets on health workers—targets that fell on the shoulders of women, who have been burdened with the entire responsibility of having less children. But, even so, she argued, the incentives given to the entire staff for procedures such as sterilisation remained a key reason behind the corrupt practices. “It’s a total lack of concern for women,” she said. At the crowded district hospital in Ambikapur, the chief medical officer Dr NK Pandey argued that shortage of staff and vacancies was more of a threat to patients than corruption. He said doctors in his institution—which is tapped to become a model hospital and medical school—rarely act outside of their code of conduct, and when they do he takes “proper action”. He insisted, with a team of his doctors surrounding him in the office, that “progress is being made”. Even so, Agrawal admitted there was still work to be done when it comes to regulating the private sector hospitals and their physicians. But the minister, formerly an avid public-system supporter, has recently been more focused on private-public health care partnerships, and said the burden of monitoring shouldn’t rest entirely on the state’s shoulders. “Morality is not just the government’s responsibility,” he said. For the victims of that breach in morality—whoever’s responsibility it may be—fighting back seems like a tall order. Kumar, the new mother recovering in the maternity wards in Ambikapur, said she wouldn’t dispute their bills. Paying extra money seemed like the only way to get the healthcare they need, especially at a time when they couldn’t have travelled or looked for a new doctor. “We’ve already borrowed money from people in the village to pay,” Mala Yadav, another new mother recovering in Ambikapur, said. And for some women who could have avoided their health scare at the hands of the system, justice would require finding a place to start. Even five years after her hysterectomy procedure, Padmani Chalak said she is willing to find a way to hold the hospital accountable. Sitting together on a cot outside her house, Sakun Nisat and her neighbour Rajani Yadav, both of whom survived the ill-fated sterilisation camp in Bilaspur, said they were ready to forget about the experience altogether. Yadav, a soft-spoken 30-year-old woman with three children, had been admitted to a hospital for eight days after her tubectomy and remembers only extreme pain and a drug-infused haze. Most of the women and families affected by the camp have administered a formal complaint or statement with the help of lawyers at the Human Rights Law Network and Kanuni Mardashan Kendra. And all of them have received compensation from the government—Rs200,000 for a death and Rs50,000 for survivors.